THURSDAY, 5/31: Summer Camp Meeting, All JR/INT/Adult classes cancelled (After 7:15PM). Children's classes unaffected. 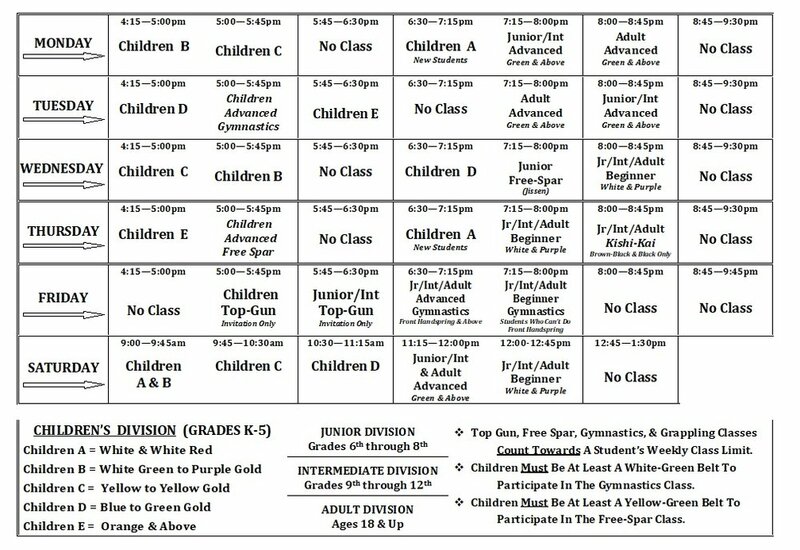 SatURDAY, 6/2: All JR/INT/Adult classes cancelled, Children's unaffected. (11:15AM-1:30PM closed). Due to Black Belt Test. WedNESDAY 6/6 through TuESDAY 6/12: Closed for Summer Camp. Re-open Wed, 6/13.